A very cute little girl poses for her photograph at the studio of Wilhelm Otto in Vienna, Austria. This baby has personality galore. 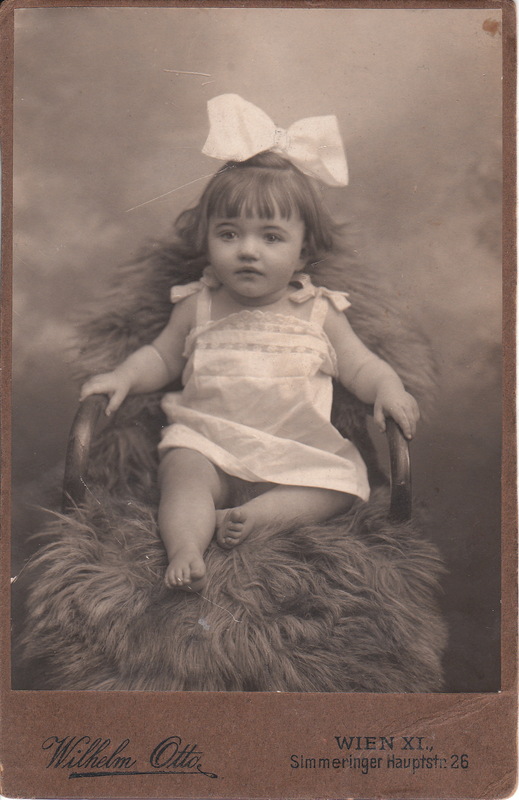 She is sitting on a fur covered chair and wearing a large bow in her hair. Her large eyes are wide open and she seems to be intelligently taking in all that is happening in the room in front of her. To view other cabinet cards by Wilhelm Otto, click on the category “Photographer: Otto”.